The Volkswagen Polo is one of the most loved cars on today’s roads. This stylish and reliable supermini has been around since it was first introduced in 1994. They have been through many changes over the years and used Volkswagen Polos are extremely popular because they’re easy to drive, cute and stylish and they’re completely affordable. There really isn’t much reason not to like the Volkswagen Polo. When it comes to performance, style and comfort, the Volkswagen Polo deserves no less than 5 stars. With an assortment of different models available in the range, you have your pick over how well kitted out you need the car. An impressive size for its class, a used VW Polo comes with a fair amount of room in both the front and back. Easily get your family from A to B while also storing items in the boot. This makes the VW Polo extremely practical. No matter the second-hand Volkswagen Polo, you are sure to get a secure drive that’s safe, comes with plenty of grip and is hugely comfortable. Driving a VW Polo is a real joy. Whether you pick up a VW Polo Beats or the VW Polo R Line, you get that build-quality and solidity that gives a fantastic driving experience. The weighted steering wheel and stylish interior help you feel that sense of class and elegance as you drive. Explore RAC Cars’ range of used Volkswagen Polos for sale, to find your next car. Or take a look at our large range of used Volkswagens. 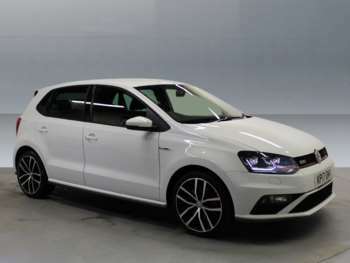 Got a specific Volkswagen Polo model in mind?